Here are a few trees we would like to recommend if you want to get a tree that will have an easier time during the winter. If you are looking for a winter-hardy tree you can plant in a New Jersey residence, the Dawn Redwood is one of your best options. Also known as the Metasequoia, this tree was originally native to China. It is typically the shortest of the redwood trees, though it can still grow to be at least 165 feet. This tree thrives in open areas, so if you have a large backyard this tree is perfect for you. Its hardy exterior helps it stay alive during the winter, though it does shed its needles during this time. During drought periods it is important that you give this tree a lot of water so it can survive. The Magnolia virginiana, also known as the Sweetbay Magnolia, is native to lowland areas along the eastern coastal plain of the United States. Its creamy white flowers are aesthetically pleasing, and they typically bloom during the summer. With its green leaves and blooming flowers, this tree makes for a great landscape decoration. This is an evergreen tree, so it will last throughout the year, even during the harsh months of winter. The tree only needs the occasional watering, so as long as you give it some water every once in a while it should have no problems surviving the cold. The Pinus thunbergii, also known as the Japanese or thunderhead pine, is another evergreen tree that is well-suited to the winter season. Originally native to Japan and South Korea, the tree was eventually brought over to the United States. Typically, it is expected to grow up to sixty feet. The tree’s grows needles rather than traditional leaves, and they can grow throughout the year. This tree is generally tolerant of most soil types, so it can be planted in almost any type of yard. Make sure to give the tree phosphorus-based fertilizer so it can have an easier time during the winter. If you have a large, open backyard you should consider planting an atlas cedar in your landscape for the winter. This evergreen tree grows blue and green needles that are pleasing to look at any time of the year. Adding to this, the tree produces a specific kind of oil that scares off insects and other pests that might try to eat it. 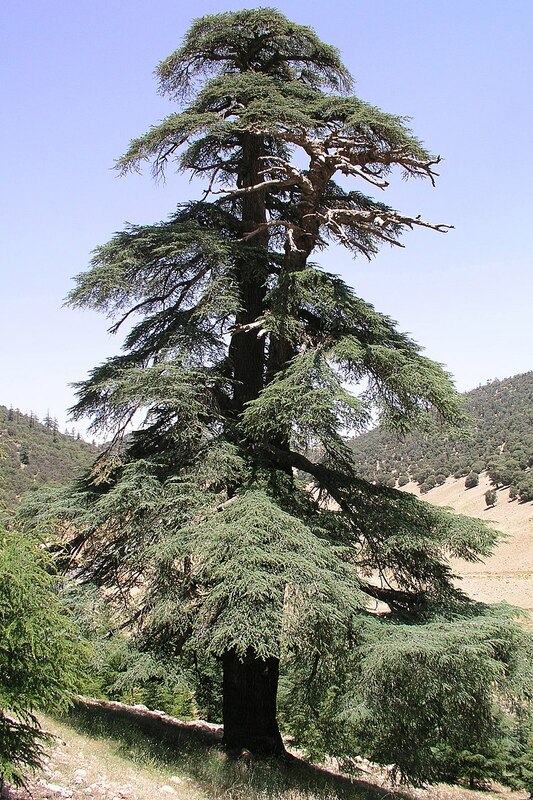 These trees tend to grow slowly, so they are very adaptable in most northern environments. Though the tree can do well in winter, you should still take some extra precautions to keep it healthy. Use mulch to protect the base of the tree, and find some heavy branches to hold it down when it gets windy. Found a good tree that you would like planted in your yard? Hillsborough Irrigation & Landscape Services can help you get your new tree in place.